Effective and efficient illumination is a key consideration for wayfinding signage. 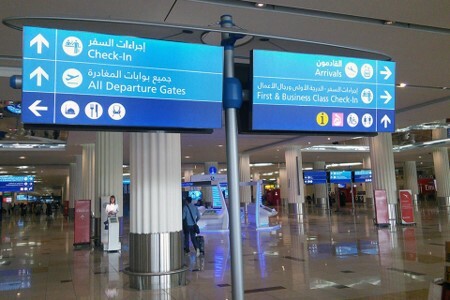 Illuminated wayfinding signs are commonly used in large-scale venues such as airports and transport hubs, where signage needs to be clear and highly visible. Replacing existing fluorescent tube lights with LEDs significantly enhances the appearance and quality of light and reduces maintenance time, as well as energy consumption. As a LED lighting specialist, Bright Green Technology has completed many wayfinding projects around the UK and worldwide, including major upgrades of the wayfinding signage at two of the world’s largest airport hubs, Heathrow and Dubai. The challenges when designing new sign lighting or retrofitting existing ones can be complex, so we always begin projects with a survey to define the scope of the project, the product options and, critically, the expected ROI and carbon saving. A Bright Green Technology engineer inspects the site to evaluate the technical proposal. 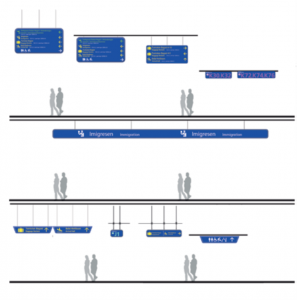 When designing lighting for a wayfinding project, variables such as appearance, lighting performance, efficiency, ease of install, power conversion and control all need to be considered. Future proofing the installation by implementing new control protocols such as DALI (we specify DALI enabled power supplies to ensure compatibility), and IOT connectivity that enhances the passenger experience, can deliver significant ROI in the longer term. Bright Green Technology offers unique expertise, experience at major sites and a focused product range to ensure we deliver a successful project. Read the Dubai Airport case study to find out more.